Welcome to wdbydana.com the website of Dana and Cindy Bratton, former missionaries to Thailand. I am a licensed and ordained Southern Baptist pastor who worked 16 years as a hospital chaplain with the Health Care Chaplains' Ministry Association in Riverside and Fontana CA. Cindy was a school teacher. She taught home school for our three children, kindergarten, and middle school science at Oaks Middle School in Ontario, CA. We also were missionaries with Child Evangelism Fellowship for eleven years, directing the work in Riverside, CA. We are both graduates of the Children's Ministries Institute® (CMI®) that provides specialized, practical training in children's ministries not found in Bible colleges or Christian universities. I became very excited and more burdened for ministry in Thailand, desiring to come full time. But I must approach it gently with my wife and be sure that God would call her too. Let it shine from shore to shore! We moved to Thailand in August 2006, after spending a year studying TESOL at BIOLA University in La Mirada. We moved to Khao Lak Phang Nga Thailand to serve with YWAM Thailand at Step Ahead our plan was to attend a required YWAM Discipleship Training School (DTS) in Chiang Rai in January. That school was canceled so we arranged to study in a Crossroads DTS (for people over age 50) in Perth Australia. Our first task was volunteering at the Step Ahead center in Khao Lak, where we taught English and shared the gospel, as well as helped people to recover from the Tsunami. Since I would no longer be doing hospital chaplaincy work, we affiliated with YWAM Thailand. After five months in Khao Lak, we moved to Perth Australia for three months of YWAM training called Crossroads Discipleship Training School in Perth, Australia. A YWAM motto sums it up, Cindy and I do what we do "to know God and to make Him known". Then we returned with our YWAM Outreach Team for two months of outreach, one in Bangkok and one in Chiang Mai. We then moved to Bangkok and studied Thai in language school for seven months and participated with other YWAM Thailand missionaries at the base in Bangkok. Language study was very difficult and took up most of our time. A one-hour drive in each direction by taxi, four hours in the school and two to three hours of homework each day. We looked forward to the Thursday afternoon worship and fellowship meeting at the base. Sam Sarvis was the director then of YWAM Thailand. Cindy Porter was our overseer her husband Phil is now the director. Ben Bonifant was team leader for the new interns. After Cindy and I finished our Thai studies in Bangkok, the late Pastor James Garwood of Calvary Chapel Baan Naam Khem, asked me to take the Bible study in Phuket to pastor and make it a church in February 2008. Thachatchai is a small village on the north end of Phuket island that was hard hit by the tsunami. In 2007, Calvary Chapel Ban Khem started an outreach and Bible study there. Mercy Ships raised funding to build a large community center that set vacant for a year. That became our church building. It is a huge two-level building with two auditoriums, and class rooms. As the years passed we had a handicapped ramp built, we had a dividing wall built on the second floor to host teams of volunteers - short term missionaries from YWAM and World Race, that came to help us. We served with YWAM Thailand for six years. I worked with Chris Lenty in the outreach department to develop web pages for each of the outreach locations in Thailand. We had over one hundred churches, bases, schools, and orphanages that would host outreach teams. YWAM, church, or World Race teams would go through a two-day orientation in Bangkok before going to their chosen outreach location. Phil Anderson was the overseer for YWAM of Southern Thailand. We had monthly meetings to plan, worship, and fellowship with YWAM missionaries serving in Phuket, Phang Nga, Krabi, and Hat Yai provinces. Very few people in our village spoke any English at all. Cindy taught English at two schools in Thai Muang in Phang Nga province, four days a week. Thachatchai is very poor many are fishermen, they harvest jelly fish, shrimp, and squid and dry the fish on a large wire screens on the street. Some people work at the Marriot Resort which is just a few miles away, some work in downtown Phuket about an hour away or in other neighboring villages. Also there is a very large police station and border patrol in the village, and one public school. There are a few small shops in the village and some people have motorcycle carts selling food, ice cream, soda, or snacks. The Lord has blessed during these years, I have a wonderful wife, three great children, two daughter in laws, one son in law, two grandsons. and three granddaughters. I have done ministry in Mexico, Nairobi Kenya, Campos Brazil, New York, and New Orleans. I went on a study trip with Talbot seminary to Greece and Rome. I was affectionately known as "ajan taat yaa�" (the pastor who cuts weeds). I bought a weed cutter to care from my own front yard. But kept expanding to cover more and more of the village in helping my neighbors and claring the street. Magnolia Church in Riverside, CA. helped us buy a riding mower. When we had YWAM teams, World Race teams or church teams come we put them to work cutting weeds also in addition to helping at church, teaching English and sharing their testimony on the radio. Plus we made visits with both church members and those not saved yet. The desire of my heart to supply Bibles to the Thai people has been realized in some amazing ways. I found a source of King James Thai translation Bibles. I approached several book stores in Phuket offering them free Bibles. The Se Ed bookstore said I needed to contact the corporate headquarters in Bangkok for permission. The director of foreign publications said,"�I have never seen a Bible could you send me one." I sent it and then called him about three weeks later. "What do you think? "� I asked. I read it, and I liked it,"� he replied. "My boss read it, and he likes it too. So we have already contacted the store manager, made a poster for you, and directed her to receive you and your Bibles. She will put the Bibles on the front counter." Those Bibles led to an invitation from the Gideon Camp of Phuket for me to join with them which gave me many more Bibles to distribute to all the resorts that are near us in Thai and English. We were led to return to the USA March 14, 2017 to help with our family and seek the Lord's direction for the next chapter in our lives. Before we left we called a Thai pastor, Levi Nok, to take my place, he has merged the church with two cell groups to make a good strong body of believers, an extension of the Seed Church in Cheng Thalay. The church is now known as the Seed Church Thachatchai. Pray that this church will continue to thrive and many more people will be reached with the Gospel and discipled. Pray for the dear brothers and sisters we left behind.. Pray for our next chapter in life as we have settled in Desert Hot Springs, CA.. Pray for the leading of the Holy Spirit and obedience to the Word of God. We need the Lord's wisdom. Pray for our books to be widely read, resulting in encouragement and changed lifes. Cindy wrote a book, Living Boldy: Overcoming and Acknowledging Fear. available on Amazon.. Fear is a big part of many people's lives today, and Christians don't seem to be exempt. What if you could overcome fear and live in boldness? This book will be a springboard to all kinds of adventure! She does sewing of new products and mending for hire, contact her at cindylbratton@sbcglobal.net Also check out Cindy's Creative Gifts. Cindy works for Englishgang.com teaching English to Thai children. You can refer Thai students to English Gang Portal Login so they get "Cynthia" for their teacher. Fees depend on the number of sessions a learner would like to study. They offer three different packages, Package A allows a learner to study 10 sessions (5,500 THB), Package B allows a learner to study 25 sessions (12,000 THB), and Package C allows a learner to study 50 sessions (21,000 THB). We both sing on the worship team at Grace Church in Desert Hot Springs. We have a home Bible study on Thursdays at 4:00 p.m at our home 17625 Langlois Rd. Sp. 86, Desert Hot Srpings, CA. We are teaching a Good News Club with others from our church at Bubbling Wells Elementary. I serve as an online missionary volunteer with Global Media Outreach. I do followup discipleship with contacts from around the world who visit Godlife.org. I answer the contacts from Thailand, and a specialty group for depression. I help with the other language desk and reassign contacts to speakers of their language. I am writing Christian non fiction books. My first book, The Perfect Storm: A Christian's Struggle with Depression, is now available on Amazon KIndle and paperback. The perfect storm refers to a particularly bad or critical state of affairs, arising from a number of negative and unpredictable factors. It is an expression that describes an event where a rare combination of circumstances will aggravate a situation drastically. In my case, it was a coming together of physical, spiritual and emotional issues at the same time, started by dengue fever while on the mission field in Thailand. Depression troubles many Christians. This book describes my struggle with depression and provides some biblical answers to deal with it. My second book, Legacy and Ministry Adventures of Dana Bratton is also now available on Amazon, Kindle and paperback. You will read of my adventures as a missionary to children in Child Evangelism Fellowship, my experiences as a hospital and hospice chaplain with the Health Care Chaplains' Ministry Association, and my thrilling years as a YWAM missionary and Calvary Chapel pastor in Thailand. I have shared excerpts from many of my missionary newsletters through the years, describing wonderful things the Lord did. My intention is to let you know my thoughts and feelings about the life I have lived, to honor the relationships that have enriched my life, to express my gratitude for friends and family and my love for God. I want to share the life lessons I learned to know Him and to make Him known. I am very thankful for those who have prayed for and supported Cindy and me through the years. The most important thing in all of life is knowing God, having a relationship with Him. My life experience has taught me that God can always be trusted to guide and provide. God can use a sinner with few abilities to do great things for Him and take you around the world doing it. If you surrender to Him. I hope this book will encourage aspiring pastors and missionaries; and will draw attention to the great need of evangelism especially among children, the sick, the elderly and in countries like Thailand, that are sometimes neglected by main stream Christianity. Ephesians 4:11-12 And He gave the apostles, the prophets, the evangelists, the pastors and teachers, to equip the saints for the work of ministry, for building up the body of Christ, Verse 12 gives the main job description of apostles, prophets, evangelists, pastors and teachers that is to equip the saints for the work of the ministry. That has been my life work to equip the saints, through preaching, teaching, and providing resources such as songs and flannel backgrounds, and web sites so that other believers can also do the work of the ministry. Find out what it's like for an ordinary man to do extraordinary things through pastoring, child evangelism, and hospital ministry. Read of how God worked to bring thousands of people to faith in Christ. I expect to have 20 volumes in the New Testament Expository Sermons series, one set in English and one set in Thai. This series of New Testament expository sermons I prepared and preached at Calvary Chapel at the Bridge in Phuket, Thailand. Useful for devotional study, sermons, and Bible studies. Lots of simple practical explanation and application. This is an evangelistic exposition verse by verse study of each book of the New Testament, with the ESV scripture alternating with NASB scripture included in the text followed by commentary, includes quotations from William Barclay, Jon Courson, David Guzik, Gotquestions.org, John Mac Arthur, J. Vernon Mc Gee, J.C. Ryle, Chuck Smith, and Warren Wiersbe. I pray that the messages will be a blessing to you. I preach and teach to "equip the saints for the work of the ministry," to effect life change, to edify and encourage and to magnify the Lord. So that "every knee will bow and every tongue confess that Jesus is Lord." My latest book, Twelve Important Basics for Living and Growing as a Christian. 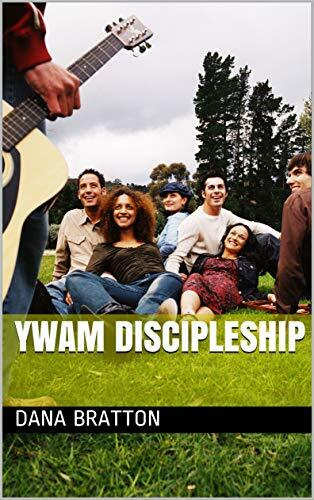 Is a good handbook for all Christians but is especially suited for discipleship of new believers. It covers twelve important basics: To help the reader to be confident of salvation, to be a student of the Bible, a prayer warrior, active in church, happily married, victorious over sin, filled with the Holy Spirit, loving and forgiving others, a good and generous steward, a humble servant, and increasingly more like Jesus. The book includes an overview of the Bible with Scripture in the text alternating between the ESV and NASB translations. Child Evangelism Fellowship Click here to find about CEF ministries worldwide. CEF of Greater Riverside If you're from So. California click here for local CEF information.